Of a life, or immanence, or the transcendental field, Gilles Deleuze writes, “it can be distinguished from experience in that it does not refer to an object or belong to a subject.”1 Little could seem less phenomenological than a life or immanence that is distinguished from experience and, Deleuze continues, “reintroduces Spinozism”.2 And, yet, there is a certain lifeism, if you will, in French phenomenology from the 1940s to the 1960s and into the present. For example, Sartre’s Transcendence of the Ego that so influenced Deleuze; Merleau-Ponty’s later notions of latent-intentionality, the flesh, wild-being; Michel Henry’s monolith on life that starts with his massive Essence of Manifestation; Jean-Luc Marion’s Being Given. 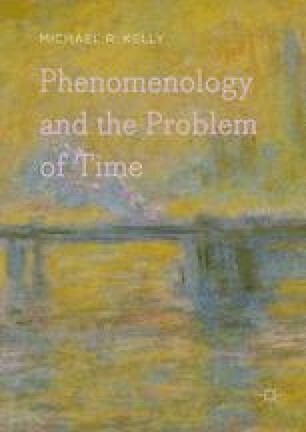 My broad hypothesis is that part of the story of phenomenology in its second and third generations in the 1940s and 1960s into today (especially in France) could be told as a series of layered misunderstandings of (or misapprehensions about) Husserl’s writings on the consciousness of internal time and their implications for his view of intentionality.